George H.W. 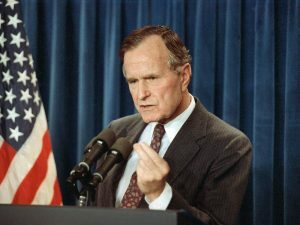 Bush’s will has been filed in probate court and it lists two of his sons — former President George W. Bush and former Governor Jeb Bush — as executors. 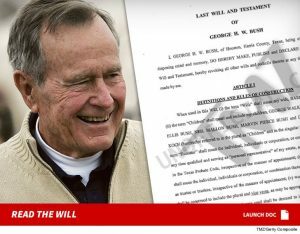 The will, filed in Texas Tuesday — obtained by TMZ — used to list Barbara as the executor, but when she died on April 17, it was turned over to George and Jeb. The two brothers are also in charge of Barbara’s estate. As for H.W.’s financial situation, the docs don’t get specific — everything was put into a trust — but the amount is listed as more than $50,000 … a number that surely downplays 41’s actual worth. H.W. 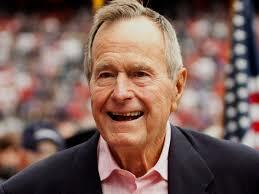 died in Texas Friday … his health was declining in recent years and was in and out of the hospital several times. He was admitted to ICU at the Houston Methodist Hospital back in January 2017 due to pneumonia. Barbara was also admitted with her own health issues. As we reported … his former service dog, Sully, has been by his casket at several places leading up to George Sr.’s funeral Wednesday. Could this be it for Meek Mill ?! ?